A SHOWCASE OF ART FROM AFRICAN AND TAIWAN. South African artist Maudie Brown, the artistic soul behind last year’s ‘Naturally Creative‘, is back. 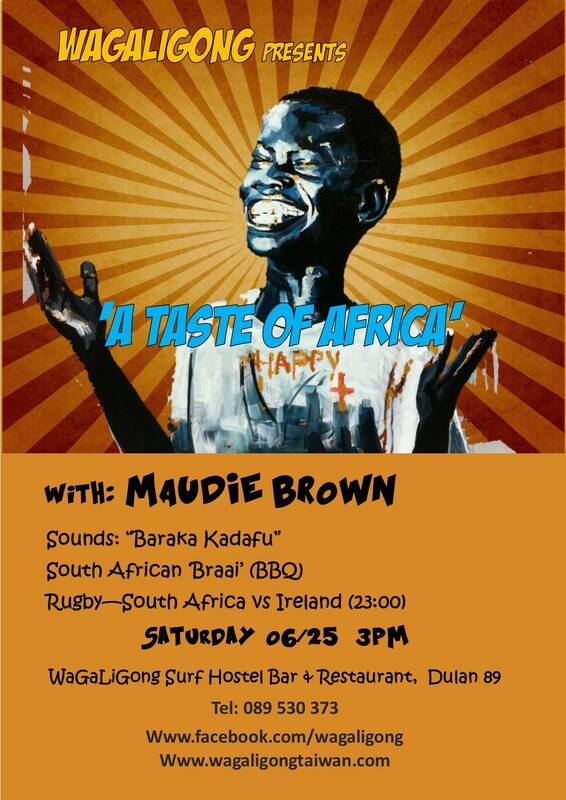 Maudie’s exhibition ‘A Taste of Africa‘ will open in style on June 25th. Sounds: “Baraka Kadafu” – Brazilian folk meets Ami’s vibes. Taste: South African traditional style ‘braai” (BBQ). Watch: Live rugby on the big screen – South Africa vs Ireland @23:00 (3rd time lucky? ).